HAIO forming higher high & higher low. 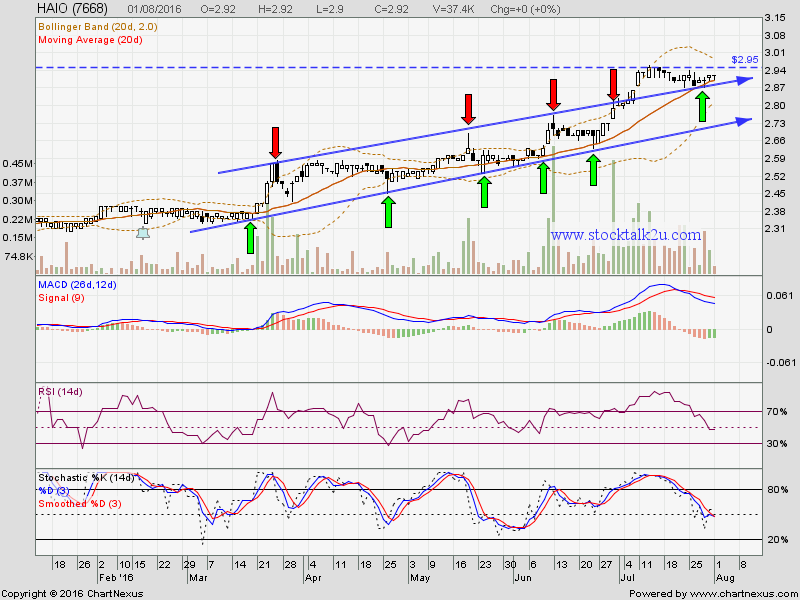 Will it breakout RM2.95 resistance level? 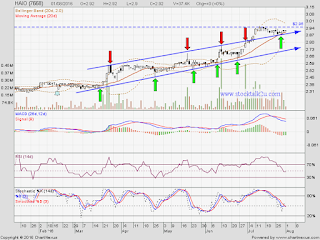 Immediate resistance @ RM2.95 level. 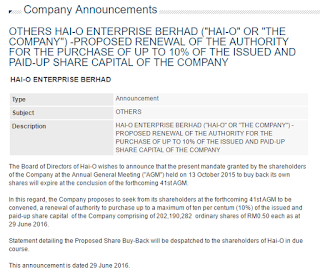 HAIO proposed share buy back again. 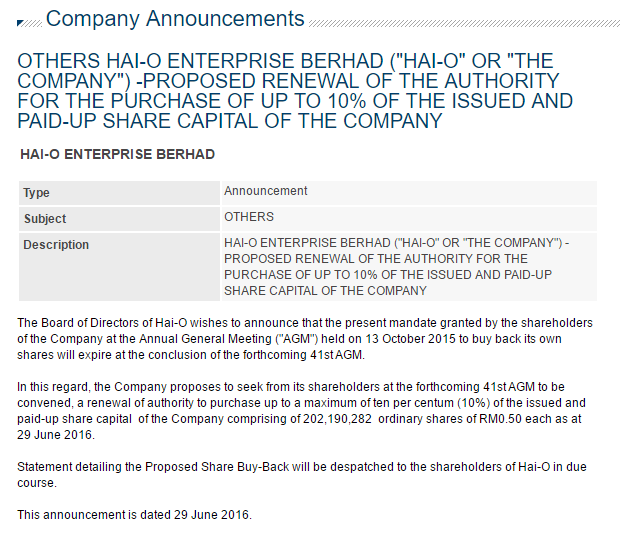 For more info, refer Bursa Malaysia website. If you like this post, buy us a cup of Mocha Latte.